Skullcandy required several standalone modules in various sizes, as well as some variations in look. 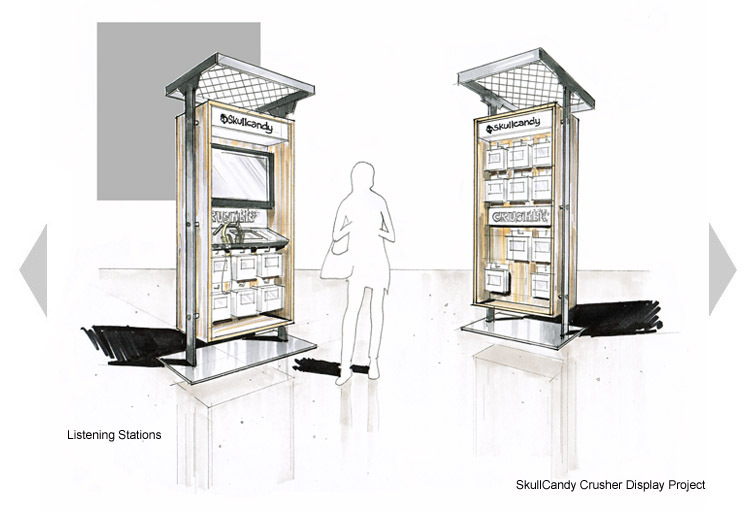 The designers expanded on the chainlink and steel idea (no concrete) for these listening station and POP units. A rack of raw steel holds a "beetle aged" wood shelf box together for a low-tech but modern brand statement.